After tooth loss, replacement is essential. Partial and complete dentures allow for proper chewing and speaking, and they also improve your oral health by providing necessary support for the jaw bone. 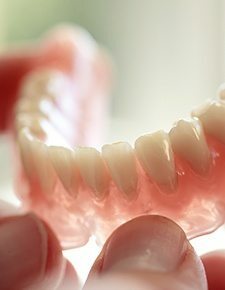 If you have lost several teeth or a full arch in the top or bottom jaw, partial, complete, and All-on-4 dentures in Friendswood, TX can come to the rescue. When you are dealing with several missing teeth, either all in a row or from different parts of the mouth, a partial denture provides a natural-looking, sturdy replacement. 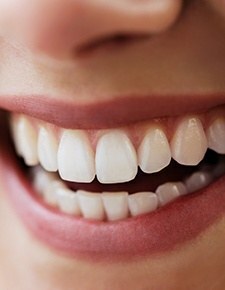 This method is used when one or more healthy natural teeth still remain in the gum line. Carefully crafted to match the size, shape, and color of the rest of your smile, the partial denture is attached to the natural teeth with metal clips and brackets. For people who have already lost all of their teeth, or who are on the brink of total tooth loss, a full (or complete) denture provides the support the jawbone needs. Prosthetic teeth attached to a base that looks just like your gum tissue, the complete dentures are retained in the mouth using natural suction. Small amounts of a denture adhesive can provide extra support as needed. Dentures can also be held in place by traditional dental implants or with the All-on-4 method. Implant dentistry offers the best combination for tooth replacement. Dental implants provide a prosthetic root for the tooth replacement. The best option in replacement, they provide truly unsurpassed stability. The dental implant is a small titanium post that acts as a prosthetic root for the tooth that is affixed to the top. Titanium is a material that fuses with bone matter in a process we call osseointegration. It takes six to eight months to complete, but once it has finished, your dental implants are as secure as any other bone in your body. A dental implant can be used to replace a single missing tooth, several lost teeth, or a whole row from the top or bottom of the mouth. For the latter, All-on-4 provides an effective solution. As the name suggests, All-on-4 supports all the replacement teeth on just four dental implants. It relies on strategic placement for maximum support from the jawbone. 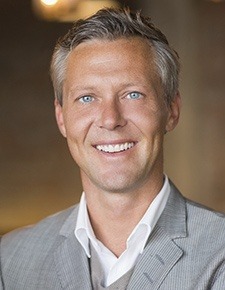 By eliminating the need for bone augmentation procedures, All-on-4 gives patients who are not a candidate for traditional dental implants the chance to enjoy the security provided by implant dentistry. Let’s Discuss Your Dentures Today! If you are missing several or a whole row of teeth, don’t put off tooth replacement for another day. 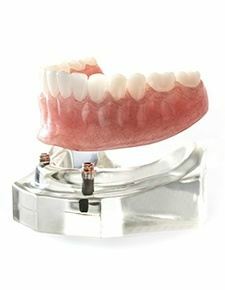 Full, partial, and All-on-4 dentures provide the stability your jaw needs. Contact your dentist in Friendswood, TX to get started! You may also request your appointment conveniently online.